Test this stuff out is it working like it should I don't know can you help me figure it out if it isn't? Search engine optimization is confusing… which makes ecommerce SEO an even more confusing branch off a confusing tree. To manage a successful website, ecommerce or not, you need a working understanding of SEO best practices. But to manage a successful online store, you need to know both SEO basics and the specific SEO practices that only apply to ecommerce marketing. That’s almost like mastering two disciplines at the same time; and that’s where most ecommerce sites fall short. Approaching ecommerce SEO from scratch, a lot of business owners assume the rules are the same and stop after implementing the fundamentals. Bare minimum effort. After all, SEO is just one of many aspects of design and marketing, and there’s a popular idea that doing a little for SEO is good enough. It’s one thing to realize what you’re doing wrong, but it’s another to fix it. In this article, we’ll explain the solutions to the 7 mistakes above. We’ll cover the aspects of SEO unique to ecommerce marketing, as well as general guidelines that are easily overlooked. After reading this article, you’ll have everything you need to know to make an informed — and effective — SEO strategy. Let’s say you’re selling sunglasses, so your keywords should be “sunglasses,” right? Sounds like a good idea; so good that goliaths like Amazon, Walmart and eBay thought of it first. And they have million-dollar budgets for things like SEO. How much is your budget? The problem with head keywords (keywords that are short, direct and have high traffic) is the competition. The traffic and search volume is there, but it’s an SEO feeding frenzy, and you’re a guppy fighting against sharks. Rather than living off scraps, it’s better to target keywords with less competition. If you’re in a niche industry, this is easier, but for most of you, your market’s head keywords will always be fairly competitive. The smarter alternative is to target long-tail keywords. Basically, long-tail keywords are just longer keyword phrases, typically with four or more words. these can be more descriptive wording of a head keyword (“trendy sunglasses under $50”) or a sentence style keyword phrase (“what are the hottest sunglasses for summer this year?”). So keep an eye on the longer entries in your SEO tool searches. This is especially important for ecommerce, since the multitude of products requires a multitude of keyword phrases. Competing against the industry leaders for head keywords is a rookie mistake; it’s best to start small and work your way up. After all, that’s what the industry leaders did originally to become the leaders. Another bit of keyword advice, closely linked to long-tail keywords, is using complementary, or informational, keywords as well. A lot of those (like “best sunglasses”) are still pretty general and so will have too much competition. But you can keep adding complementary keywords until you create a long-tail phrase that has a good level of competition. So “trendy sunglasses” will have a lot of competition, but “trendy sunglasses under $50” will have less. “Trendy sunglasses under $50 with tinted lenses” will have the least. So don’t be afraid to use complementary keywords to create your own long-tail phrases. Just test it first to see if it has sufficient traffic. The classic sales funnel defines so much of ecommerce, and by extension ecommerce SEO. Understanding the stages of the funnel allows you to fine-tune your strategy for specific pieces of content depending on what they need. It’s easy to understand that the customer’s mindset changes at each stage: a mild curiosity in the first stage can become a fervid obsession by the time for check out. But it’s also true that the customer’s search behavior changes as well. You want to cater your content, and the accompanying SEO strategy, to each stage in the funnel. If you have a comparison chart for the Discovery phase, target more specific questions and research keywords. If you have an article describing why people should consider a certain product for the Visit stage, use more broad and general keywords. If you’re good enough, you can even intercept customers right at the end stages. Say a customer conducts their research on other sites. When they’re ready to buy, if they see your name in the top search results for a specific product name search, as long as your deal is good enough, you could end up with the sale. Be careful not to confuse the stages either. Don’t use end-stage keywords for early-stage content. One of the SEO fundamentals for all sites is to avoid duplicate content, or content that appears word-for-word in more than one place. While not always malice or plagiarism, duplicate content is nonetheless looked down upon by Google and other engines, and is therefore harmful to your ranking. For ecommerce, this is most pertinent with product descriptions. Product resellers often simply copy-and-paste the product descriptions from the source, but even vendors of original products use the same descriptions on all the channels they manage just to save time. A smarter strategy is to write original product descriptions for each entry. More than just avoiding duplicate content, this also provides the opportunity to target different SEO strategies. You could alter your keywords for different channels, depending on the dominant audiences on each channel, or even experiment with untested keywords. Here’s a secret that’s not always apparent to beginners in the digital markets: the purpose of blogs is as much for SEO as it is for entertainment. Sure, blogs started as a way for people to share their thoughts, opinions and writing with the global audience online, but today blogs evolved a secondary purpose as a net for drawing traffic from search results. At its core, a blog is just a massive collection of words — keywords that are scanned by search engines and that influence search algorithms. Therefore, having a blog is a best practice for getting ranked, even if no one reads it. Of course, you want engaging content that your visitors enjoy reading. High quality content performs better in search results, to say nothing of attracting a fan base, drawing in new traffic and increasing time on site. So why not have both? Why not have well-written, engaging blog posts that are also optimized for search engine results? Just because you’re an ecommerce store doesn’t mean you shouldn’t have a blog. Aside from the benefits mentioned above, blogs can also establish you as an authority in your industry. If you sell outdoor sports equipment, write articles about rock-climbing techniques. If you’re an ecommerce analytics platform, write articles about ecommerce best practices ;). Blogs, like social media, are more than just an entertainment outlet; they’re a practical marketing tool. One aspect of search engine algorithms is to identify external sites that link the the site in question. If Site A is referenced on Sites B, C and D, then search engines recognize Site A as authoritative and ranks it higher in search results. For this, it’s important to have plenty of backlinks — links to your site on external sites. While every backlink is helpful, backlinks on sites related to your industry are most effective. So, if you’re selling tech products, getting a backlink on a review site like CNET would help your search engine ranking more than a mention in the forums of a Dallas Cowboys fan site. One of the most effective strategies for backlinking is to build partnerships with non-competitive sites within your industry. Guest posting and article exchanges are perfect: you post content with backlinks on their site, and they post on yours. Affiliate marketing works well, too — the more the merrier! In addition to that, you want to keep tabs on who links to you organically. Creating a Google Alert for yourself is a good method for keeping up-to-date on who’s talking about you, but plenty of tools include features for this as well. Another important aspect of backlinking is to make sure all your backlinks are functional and/or current. Be on the lookout for broken links; for example, if you create a new URL for a certain product page. Simply contact the source and ask them to update the link. Last, we’ll end on a more advanced SEO trick for ecommerce marketing, canonical tags. If you’re new to the topic, a canonical tag — also known as rel=canonical to coders — is a cue in your code that informs search algorithms that different URLs refer to the same page. 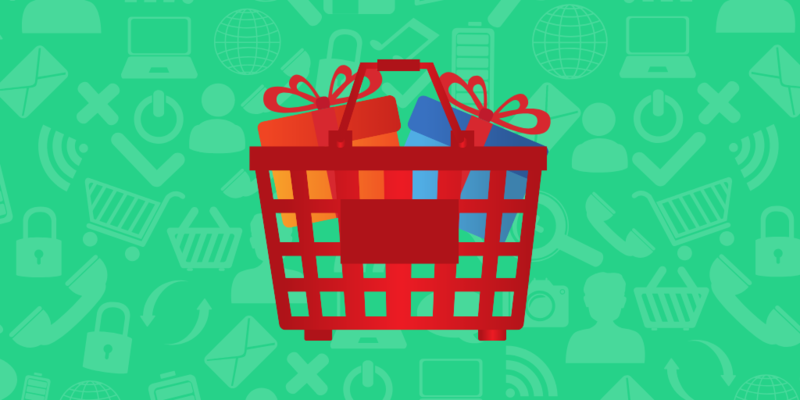 So, a shopper might land on a product page by browsing the categories on your site, or they could arrive via a special link in social media. Although the product page is the same, the URLs may be different because the routes to get there are different. Another common issue is when a product has different variations, such as colors or sizes, and each variation has a different URL. You don’t want to dilute your SEO strategies just because some people want the shirt in blue instead of black. The inherent problem with this is search engines view each variation as an individual page, which means your efforts are halved or worse. Canonical tags circumvent this by merging the URLs into one single master page, at least in the eyes of search engines. Not only does this unify all your techniques, but it also avoids the penalties for duplicate content mentioned above. For duplicate pages, i.e., variations of the main page, insert the above tag in HTML source code in the <head> section. Because this is a slightly more advanced tactic than the others listed above, you may want some more detailed information. 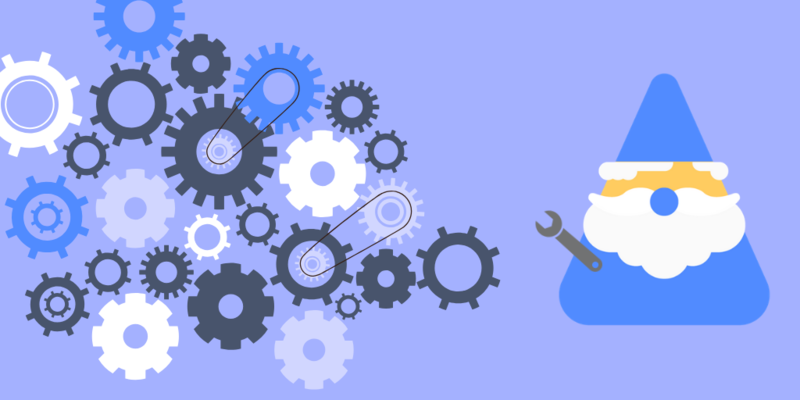 We recommend Moz’s page on canonicalization, which offers additional guidance and 6 best practices for canonical tags. Love it or hate it, SEO is a mainstay skill in ecommerce marketing. It may seem intimidating if you don’t have much experience with it, but it gets easier the more you work with it. The above tips offer a good entry point: first stop making the common mistakes, and you’re on your way to becoming an SEO expert. Matt is a freelance online content creator, specializing in eCommerce, content marketing, and web design. For over a decade he’s been sharing his industry knowledge through ebooks, website copy, and blog articles, just like this one. 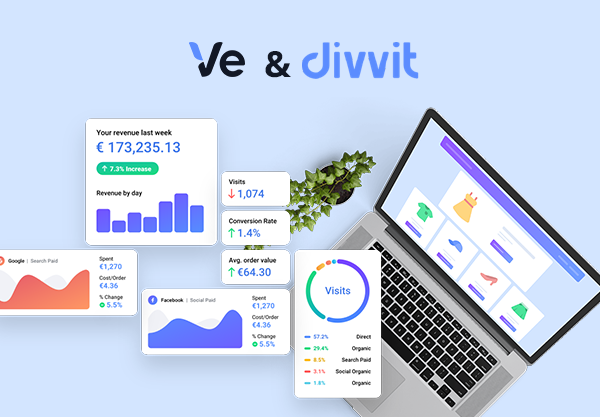 Start growing your business with Divvit! Born in Sweden, but we’re a fully remote company spread across the globe!